A few weeks ago, a bombshell was dropped when it was announced that the NCAA would not renew its licensing agreement with EA SPORTS. While that agreement only happens to prohibit EA SPORTS from using the NCAA’s name, likeness, and logo it appears that they’ve hit another issue. Today, the SEC announced via ESPN that it will no longer license its trademark for the upcoming EA SPORTS title College Football 15. Now, that appears to mean that EA SPORTS will not be able to have an SEC Championship or an SEC conference. Since the game is comprised of unnamed players, it still seems somewhat likely that EA SPORTS could license the team names through the Collegiate Licensing Company. Regardless, it’s a bit of a blow to EA SPORTS considering that the SEC is one of, if not the most, powerful college football divisions in the country. How EA SPORTS responds from this situation will be watched closely, but it will be intriguing to see other conferences follow down this same path. 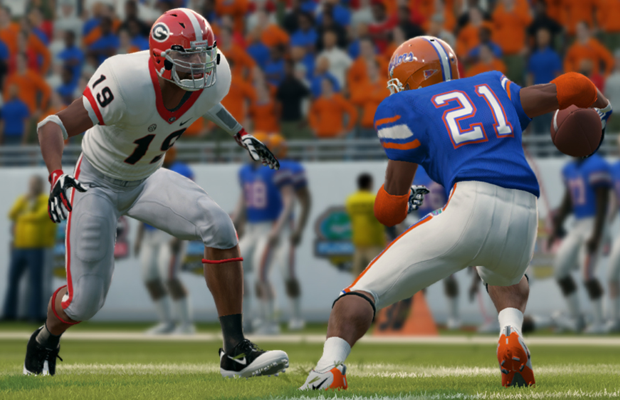 What do you think about the SEC refusing to be involved in the upcoming EA SPORTS college football title? Be sure to let us know what you think by leaving us a comment below, or continue the discussion on Facebook and Twitter.